Not matter how well you plan every so often you run out of fresh food – well at least I do. In our non-vegilante days our go to meal was Tomato and Bacon Risotto (canned tomato, frozen bacon…. ), these days I’ve been trying to perfect a baked (because I’m too lazy to stir) vege risotto. My in-house taste testers say this one is “pretty good” – which means it still needs some tweaks but probably ready to share. Heat Nuttalex in a large baking dish on the stovetop. Add onion and garlic and saute. Add rice, stir to coat and cook for a few minutes. Add thyme and oregano, salt, pepper, canned tomato, vegetable stock and wine, and lightly stir. Bake for 45 – 60 minutes. 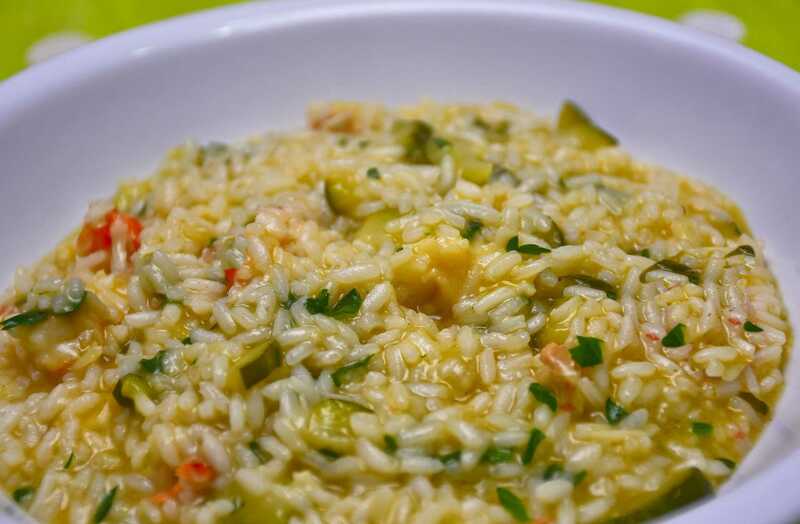 Storage: cooked risotto can be stored in the fridge for no longer than 1 day.